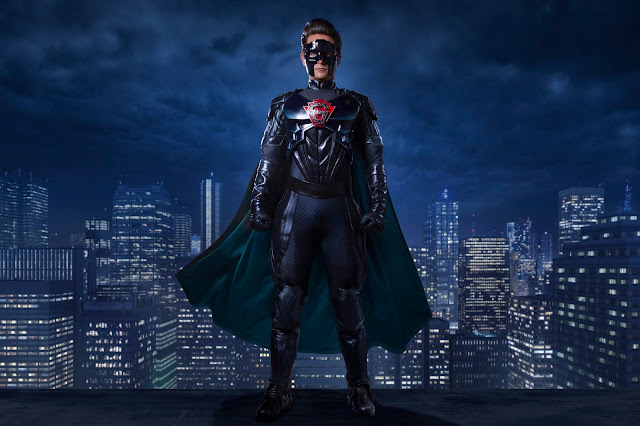 The BBC have revealed the full costume for the superhero character, played by Justin Chatwin, in 2016's Christmas Special, The Return of Doctor Mysterio. This Christmas on BBC One, the Doctor teams up with a comic-book superhero in New York for a heroic special written by Steven Moffat, titled ‘The Return of Doctor Mysterio’. Matt Lucas (Nardole) will also be joining the cast of the special with Adetomiwa Edun (Lucifer, Bates Motel), Aleksandar Jovanovic and Logan Hoffman.